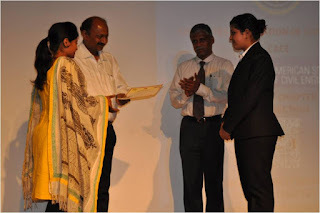 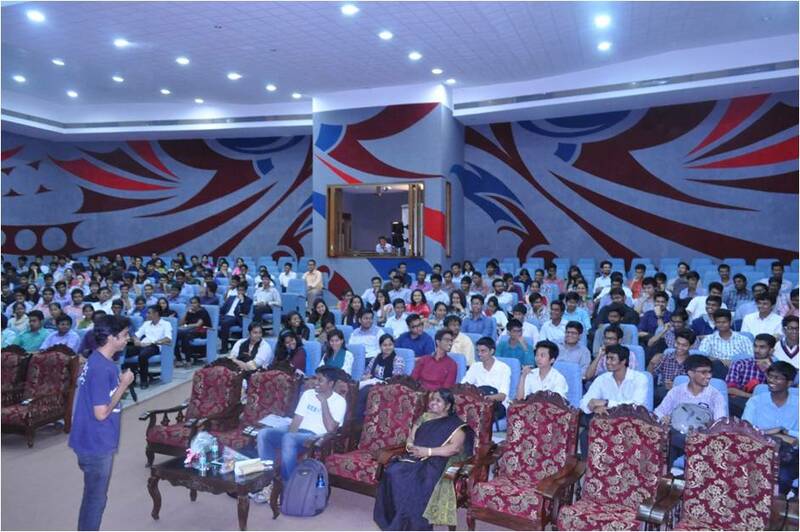 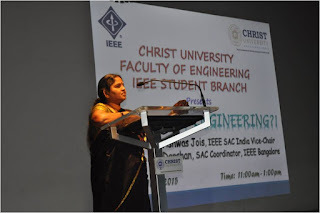 ASCE-Student Chapter and CACE inaugration for the academeic year 2015-16 was held On Saturday, 20 June, 2015, at 10:00AM, Main Auditorium, I Block, I Floor, Kengeri campus. 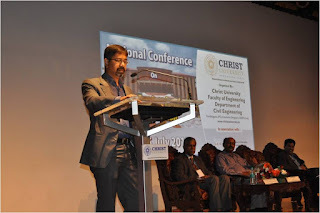 The chief guest of the program was Dr. G.L.Sivakumar Babu, Professor, Department of Civil Engineering, Indian Institute of Science and the guest of Honor was Dr.M.U.Aswath, Professor & Head, Department of Civil Engineering, Bangalore Institute of Technology. 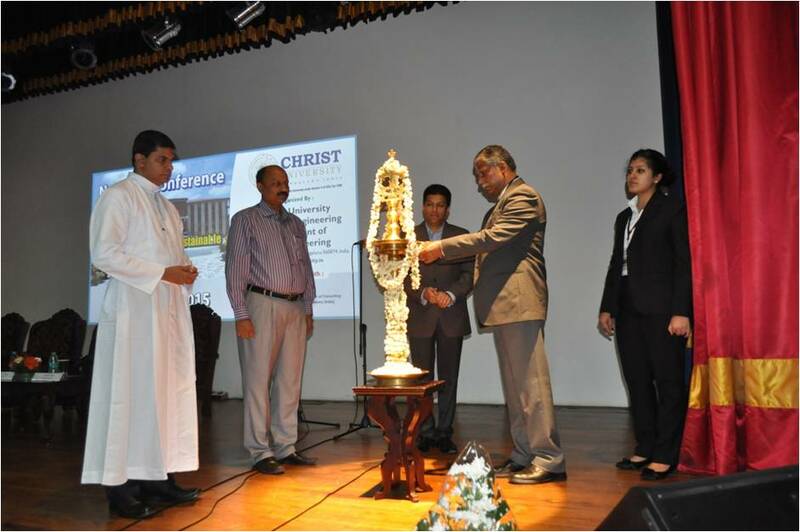 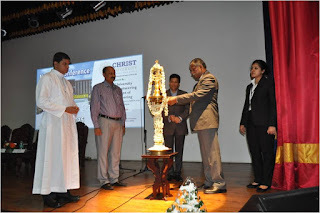 Other dignitaries were Dr.Iven Jose, Associate Dean, CUFE, Fr.Antony Puthussery, Campus coordinator, CUFE and Prof.Raghunandan Kumar, Coordinator, Department of Civil Engineering, CUFE. 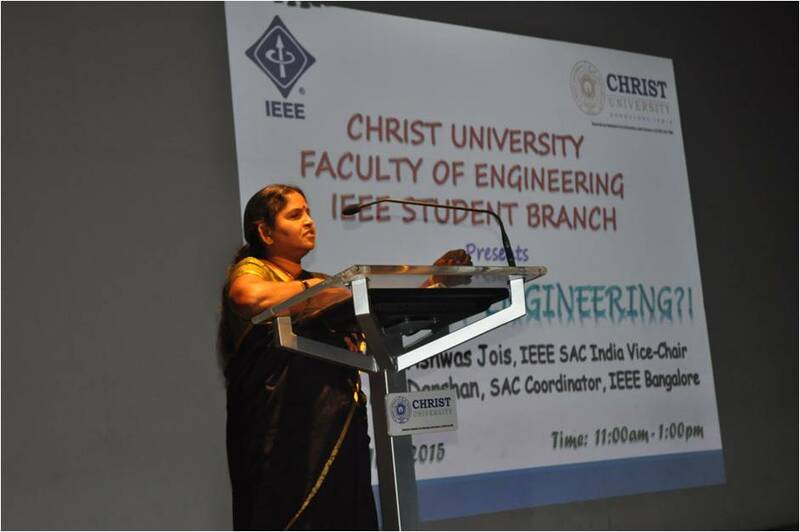 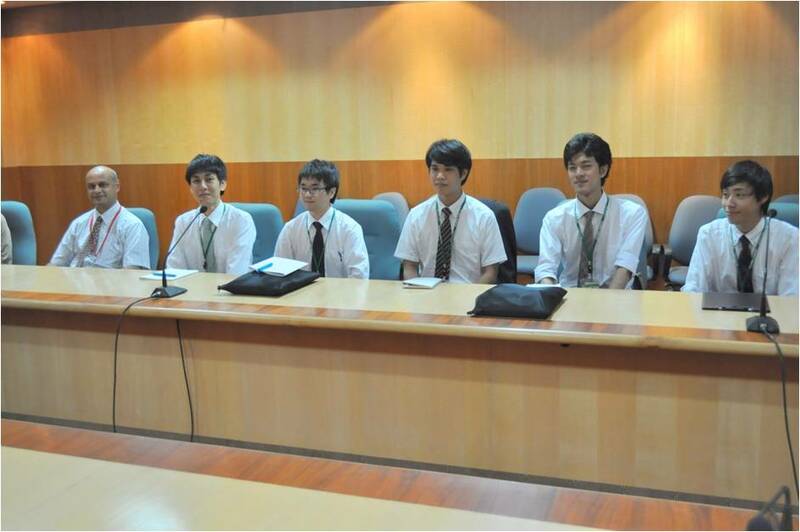 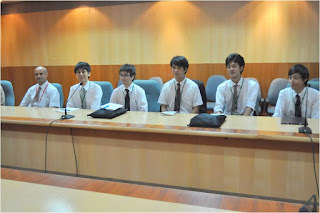 The session started with an invocation which was done by the students. 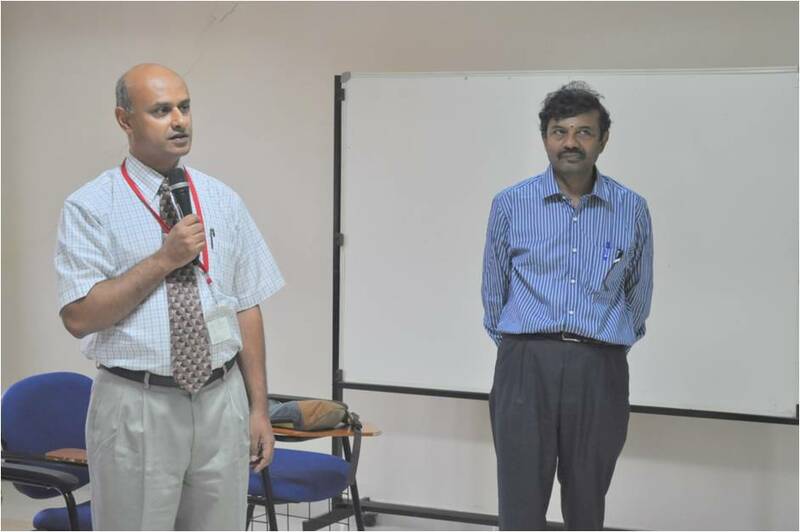 Prof.Raghunandan Kumar, Coordinator, Civil Department welcomed the gathering. 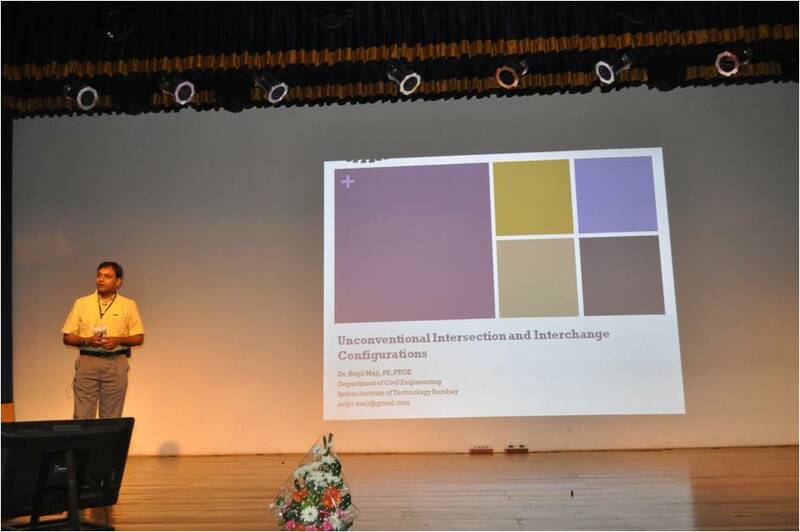 The presidential address was delivered by Dr.Iven Jose, Associate Dean, CUFE. 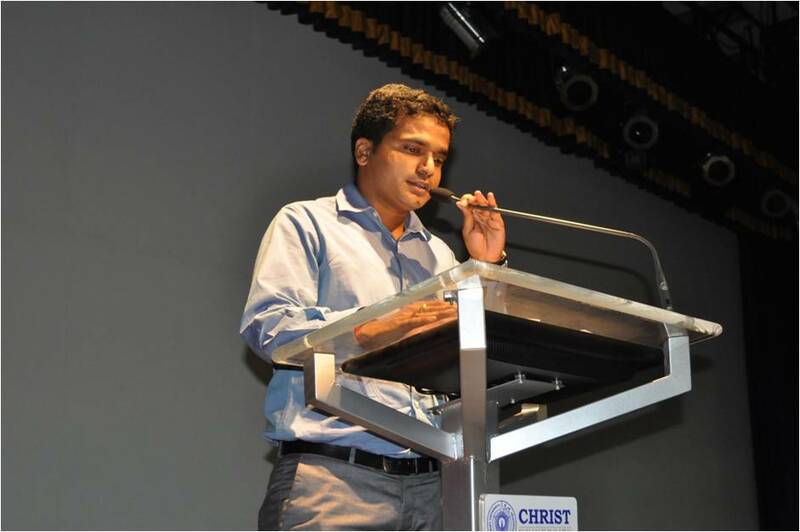 Mr. Arjun.H.R, Student coordinator announced the office bearers for the academic year 2015-16. 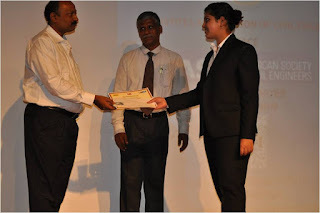 Ms.Chiku Grace a student of VII semester and Ms. Aayat Aijaz a student of V semester got a certificate of merit from Ultratech Cement Pvt Ltd for scoring the highest marks in Materials of Construction. 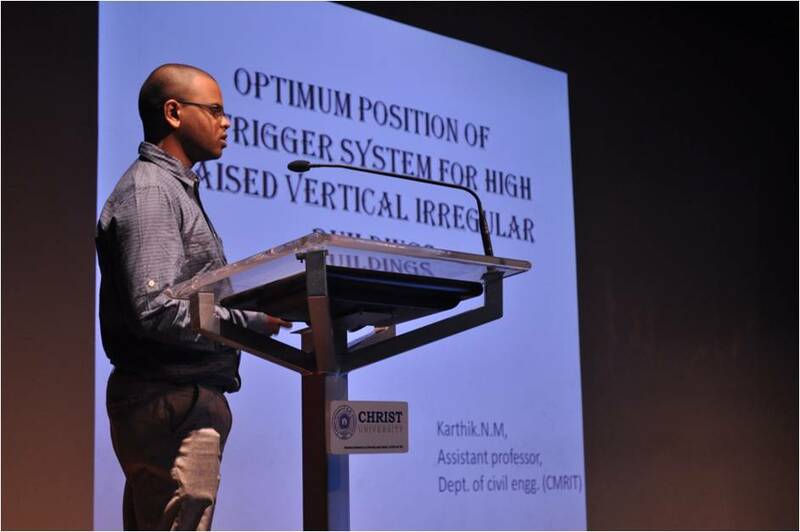 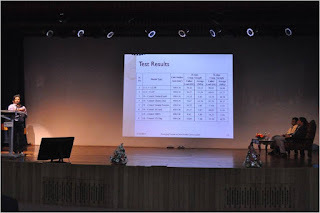 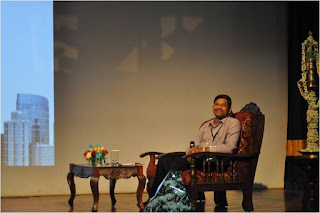 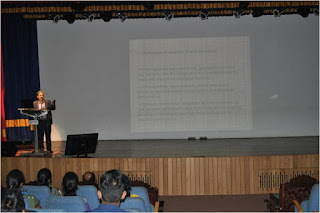 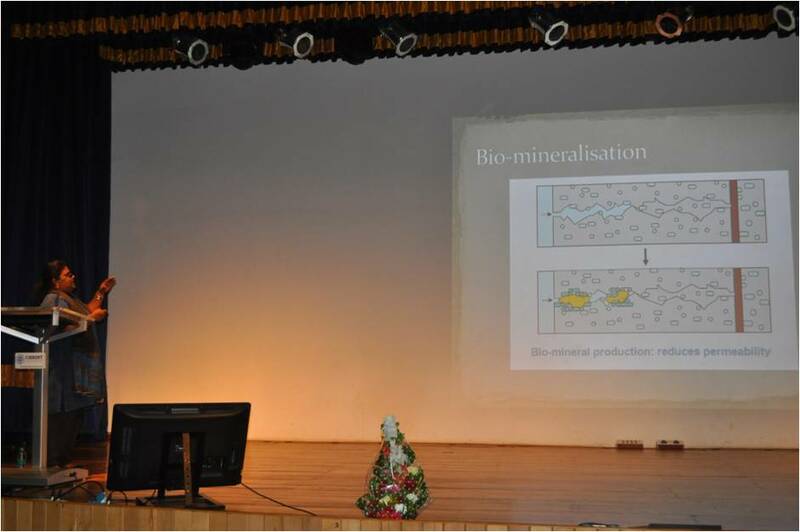 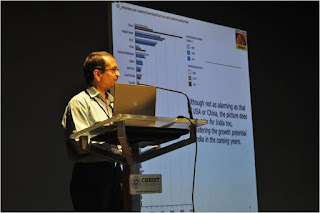 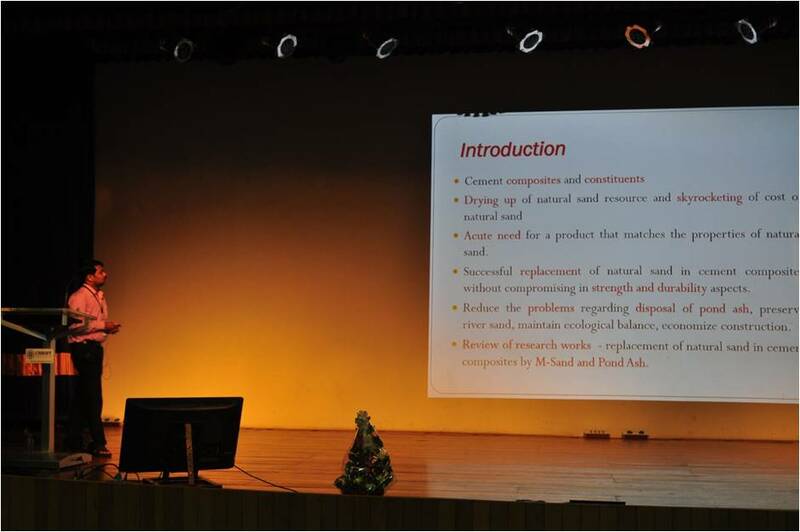 Dr. G.L.Sivakumar Babu gave a lecture on Challenges in material characterization. 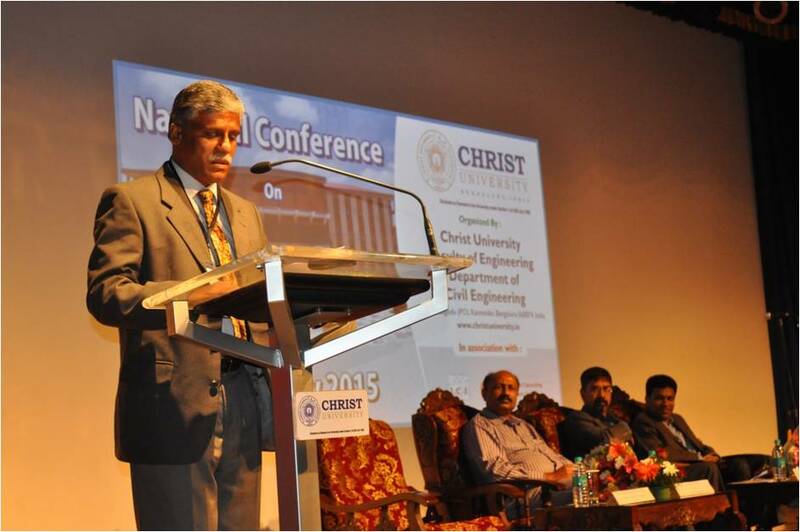 The chief guest is presently the Governor of Region 10, ASCE, Ex-President of ASCE. 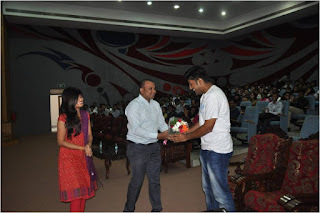 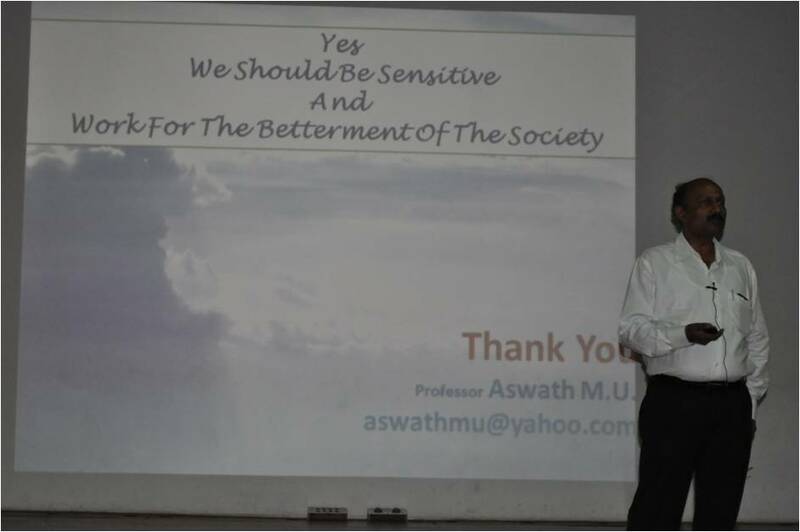 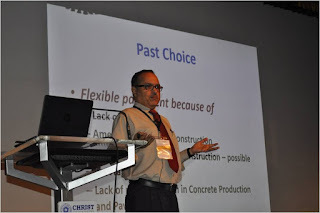 Dr.M.U.Aswath gave a lecture on Future of civil engineering. 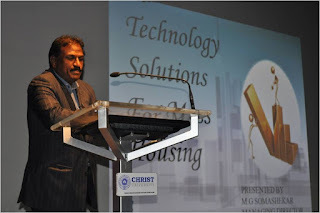 The guest of honor is presently the Chairman of Indian Concrete Institute-Karnataka Bangalore Centre. 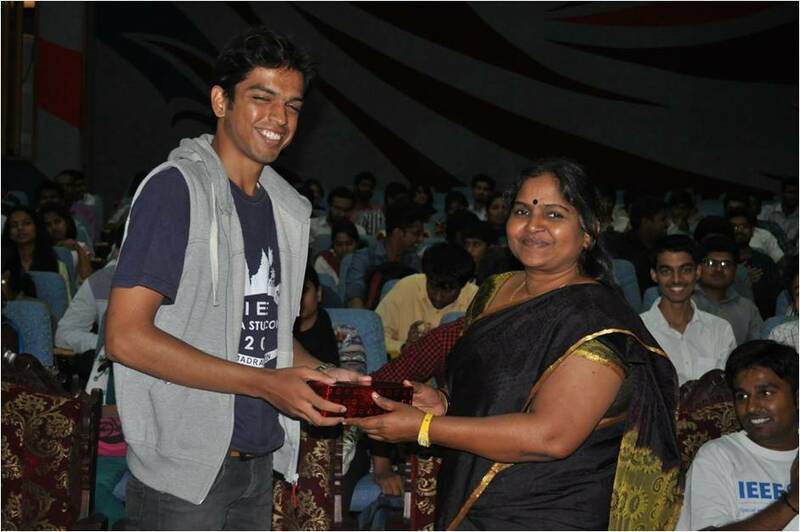 The vote of thanks was given by Mr.Arjun.H.R, the function was concluded by university anthem. 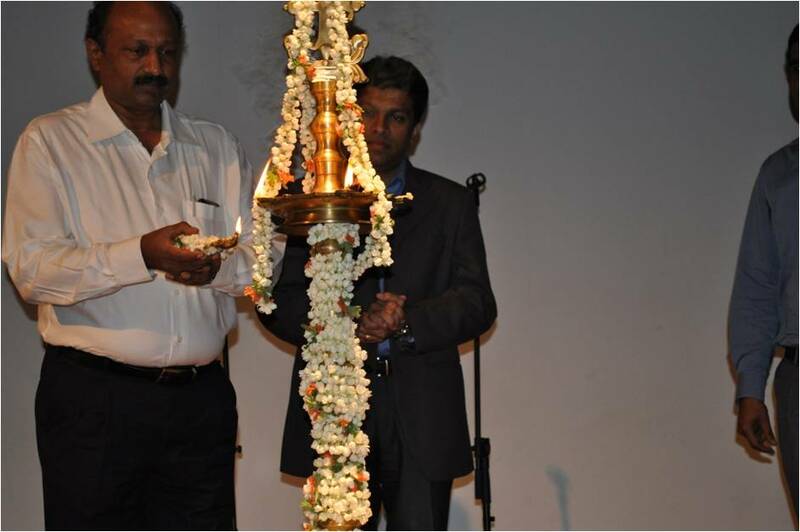 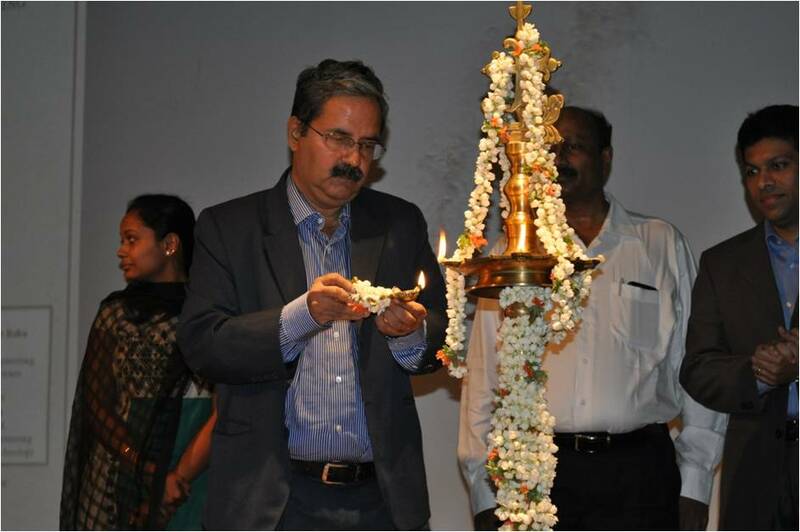 The chief guest Dr. G.L.Sivakumar Babu lighting the lamp. 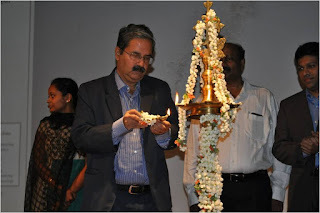 The Guest of honor Dr.M.U.Aswath lighting the lamp. 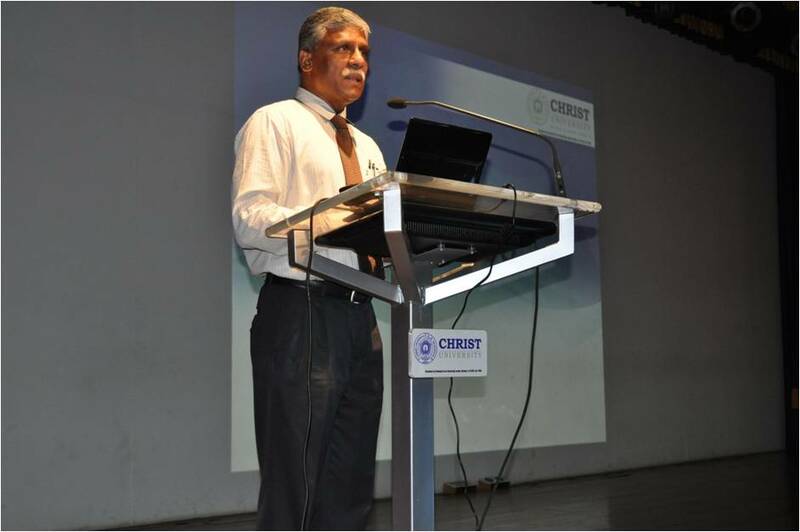 The presidential address was delivered by Dr.Iven Jose, Associate Dean, CUFE. for scoring the highest marks in Materials of Construction (2013-14). for scoring the highest marks in Materials of Construction (2014-15). the function was concluded by university anthem. 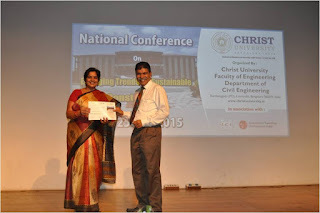 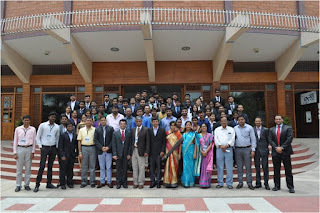 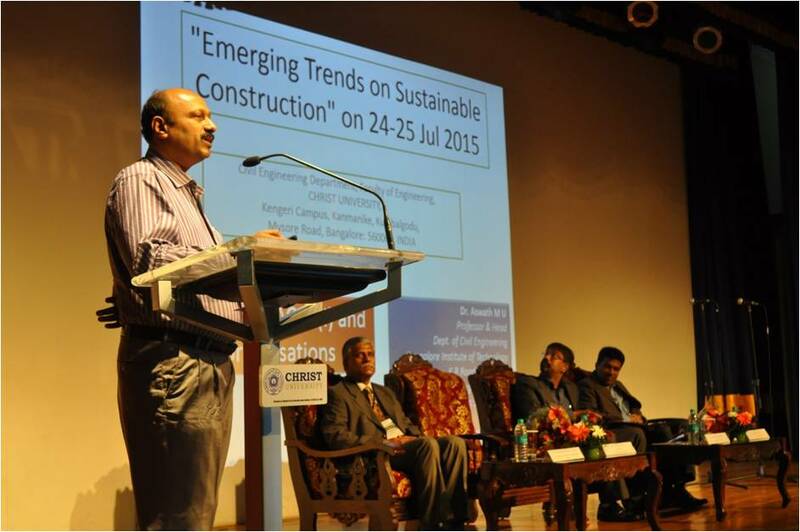 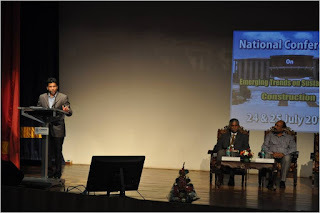 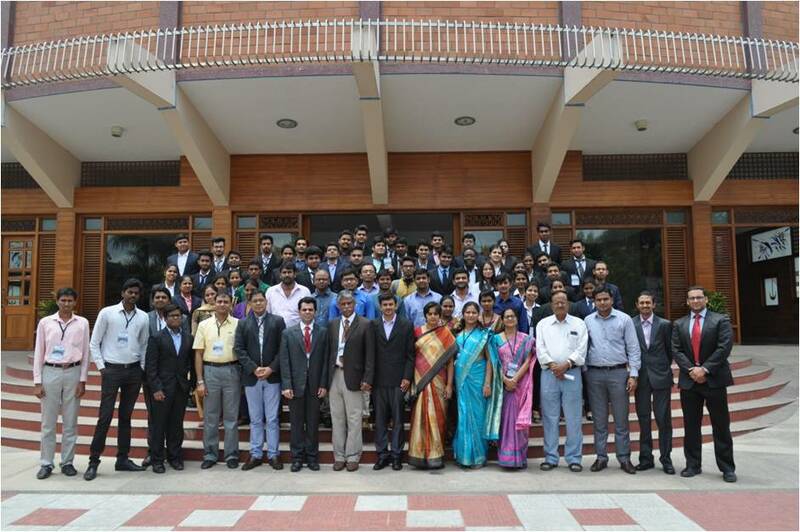 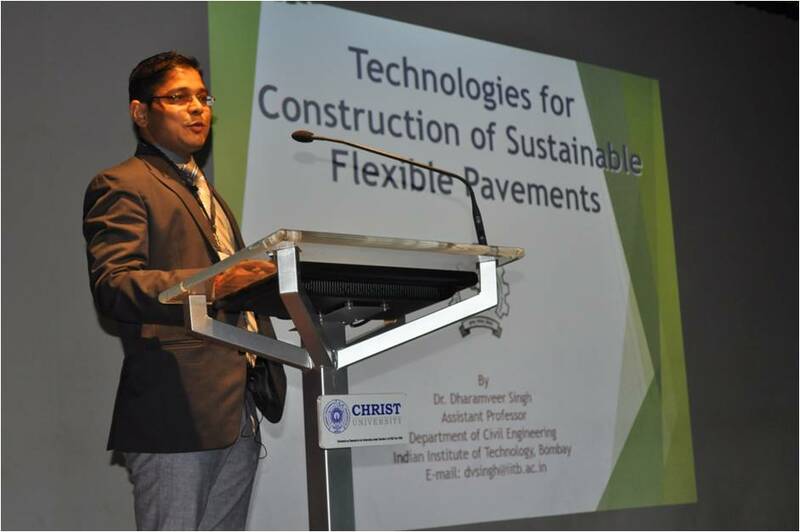 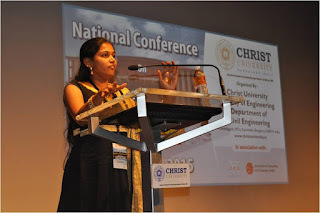 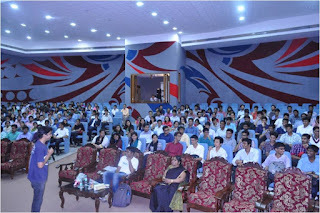 The Department of Civil Engineering in association with Indian Concrete Institute (ICI) and Association of Consulting Civil Engineering (ACCE) organized a two day national conference on Emerging Trends on Sustainable Construction on 24 & 25 July 2015. 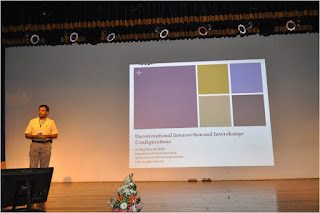 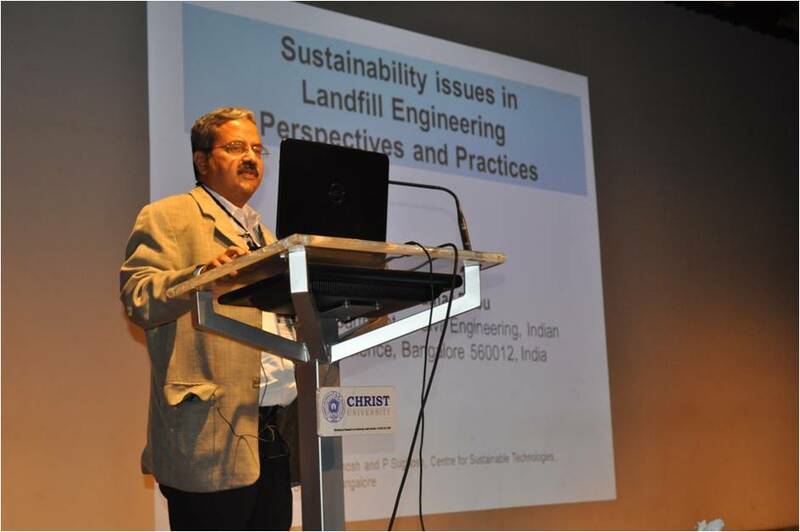 The Chief Guest for the conference was Mr. Anjum Parwez, IAS, Chairman of Bangalore Water supply and sewage board (BWSSB) and the guest of honor was Dr.B.R.Srinivasa Murthy, Emeritus professor, IISC and Chairman of Technical Advisory Committee of Bruhat Bangalore Mahanagara Palike(BBMP). 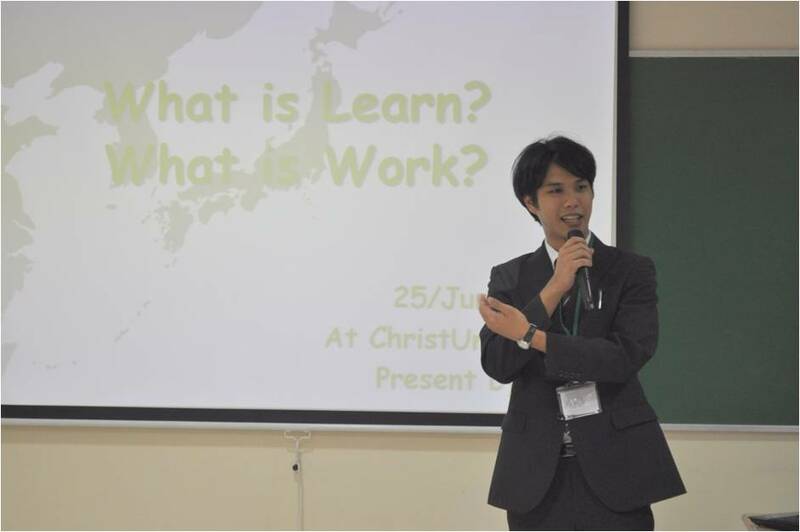 Six expert speakers from various specializations were invited to disseminate their knowledge in the conference. 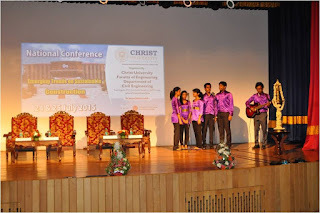 The programme started with an invocation song from the choir team. Prof.Raghunandan Kumar Coordinator, Department of Civil Engineering, CUFE. 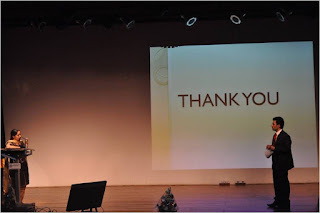 Dr. Iven Jose, Associate dean, CUFE welcomed the gathering to the conference. 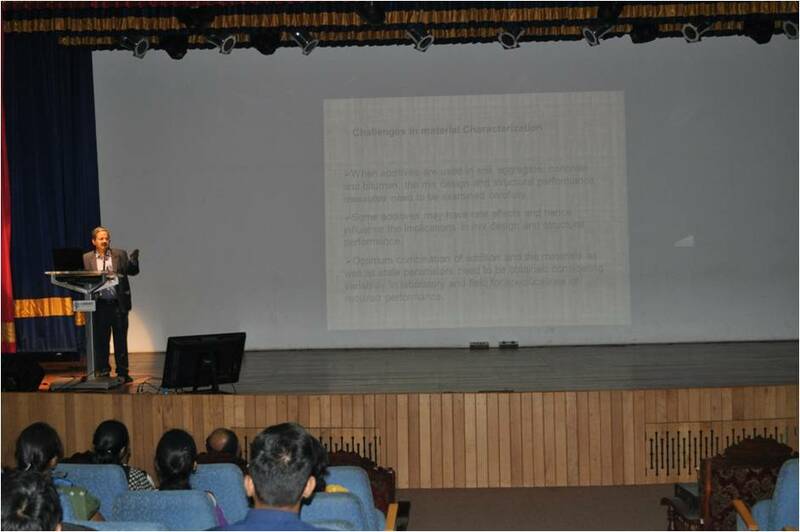 introduced the participants about the objectives of ICI and ACCE. 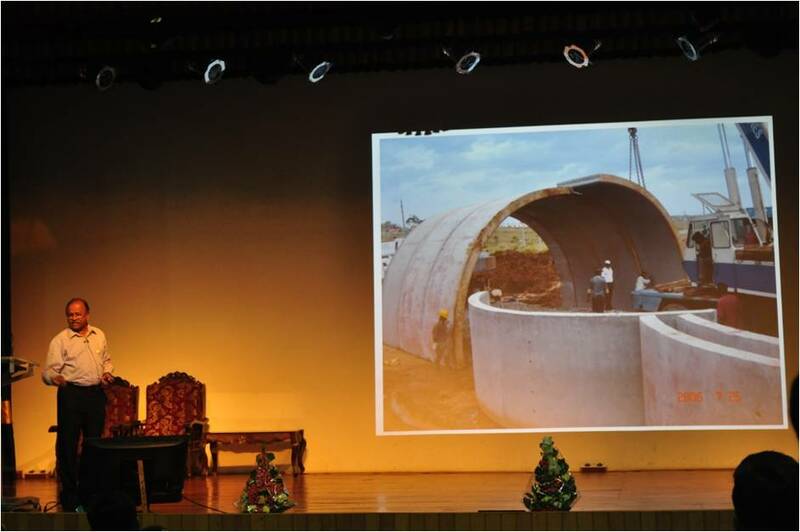 in his speech he emphasized on the importance of sustainability in construction. 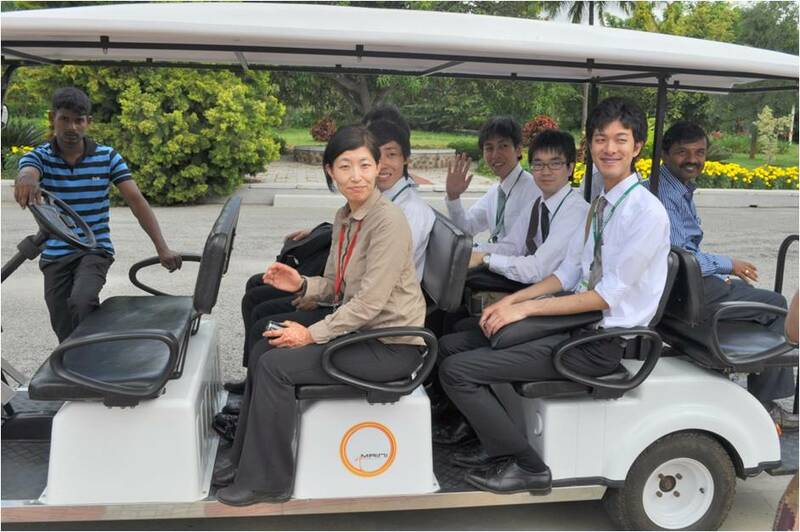 sustainability concepts in overall engineering. 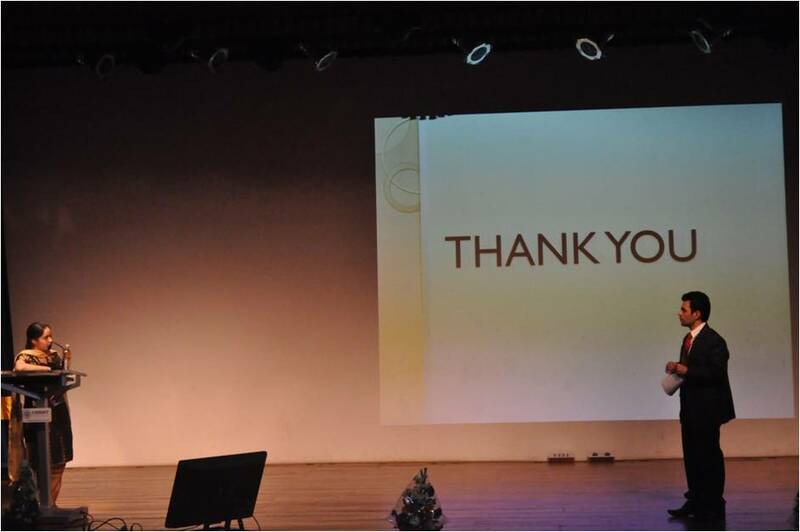 delivered the vote of thanks. Subways and Underpasses in Metros. 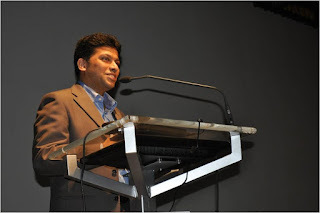 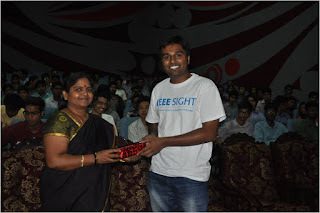 Dr.Radhakrishna, Associate Professor, RV College of Engineering, Bangalore. 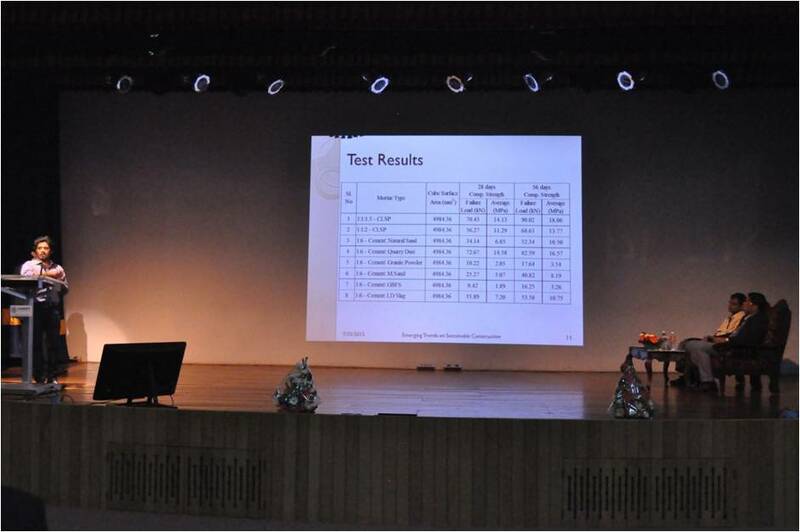 Participants presenting their research work. 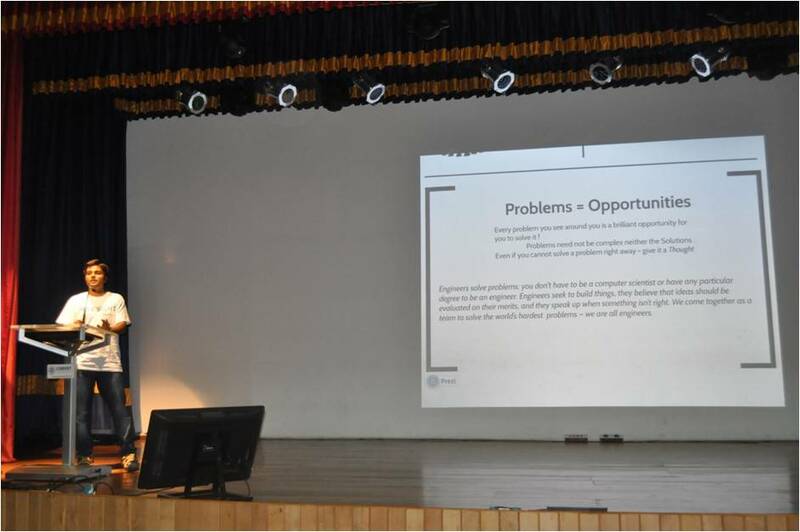 One of the participants giving her feedback about the conference. Prof.Glady Jacob giving away the participation certificates to the delegates.